We're glad to hear that you're interested in writing a paper on near-death experiences. Our bibliography will give you a start. In particular, if you have access to the 2000 book, The Varieties of Anomalous Experience, Bruce Greyson's chapter on near-death experiences offers an excellent overview and includes a description of a very interesting NDE that occurred to a woman documented to have an inactive brain for one hour during surgery. To locate resources in the library or bookstore, begin by checking listings under the author's name, if you know it, or under the topics of Near-Death, Death, and Dying. You may find books in the sections for Religion, Psychology, or Parapsychology. You may need to ask the librarian or salesperson; the topic is handled differently from place to place. The August 2003 issue of Reader's Digest included an article on near-death experiences (pages 122-128). The September 2003 issue of Spirituality & Health included an article entitled "Beyond Fear: The New Science of Near-Death Experiences." The December 15, 2001, issue of the highly respected international medical journal, The Lancet, included an article by Dr. Pim van Lommel and his colleagues who studied NDEs for 13 years in hospitals in Holland. We have commentary, including a link to an on-line copy of the article. To read research papers on near-death experiences, go to Google Scholar and search for the desired author and "near death experience". For example, search for Greyson "near death experience", or other authors like Ring, Holden, Parnia, etc. Many of these papers are available on-line as PDFs. 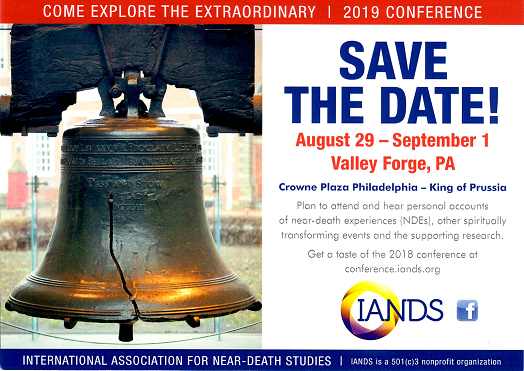 Check to see if there is a local support and interest group near you for near-death experiencers (a Friends of IANDS group: FOI). Use the contact information to learn when and where the group meets. At the meeting, identify yourself as someone preparing to write a paper on near-death experiences. Run a small request in your school or community newspaper, or post a notice on a high-traffic bulletin board (library, supermarket, wherever in your community people are most apt to stop and browse). Whenever you interview a near-death experiencer, be sure to guarantee confidentiality-and keep this promise without fail! Were the people who report NDEs really dead? Do near-death experiences prove there is life after death?